All students email accounts are hosted with Google Apps. Students can access their email at google.rit.edu. 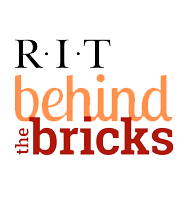 Students will sign in with their RIT username and password on this website. To setup your email on your smart phone, you will need to setup an external authentication password to be used with Google Apps Services. This password does not expire. Below are the steps to setup your account for external Google Apps access. Click on Google Apps at RIT. Sign in with your RIT username and password. Type a different password for Google Apps. To setup on your smart phone, use the standard Gmail account setup for your Phones mobile OS. Your username will be yourRITusername@g.rit.edu and the external password setup on start.rit.edu. For more information and setup instructions for IMAP & POP3, click here.